This week on the Live in Everett Podcast Tyler, Garret and Henry J discuss what acts they’d like to see at the Historic Everett Theatre, finish their chat with City of Everett Economic Development Director Dan Eernissee and play some Everett Essentials trivia. Voicemail (which we might play on the show): (425) 341-3731. You can also get the podcast sent to your email every Monday by subscribing to the Weekly Goodness email newsletter. Special thanks to our producer Henry J. 100x thanks to Oliver Elf Army for our theme music. Other music provided by LAKEY INSPIRED & DJ Quads. You can also help others discover the Live in Everett Podcast by subscribing and rating the show over on iTunes. And if you really want to go the extra mile and help us continue waving the Everett flag, consider supporting us with a couple bucks each month on Patreon (make sure you check out the cool rewards!). 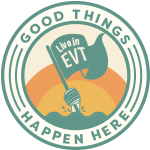 Live in Everett is a media outlet dedicated to reporting on the good things that happen in our city. We like to share about new restaurants, culture, events, and opportunities for civic engagement. Learn more about us here, and join us as we proudly wave the Everett flag.